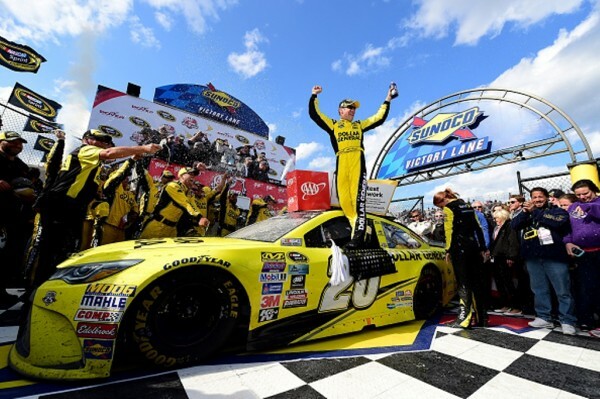 Matt Kenseth celebrates his win at Dover Sunday. 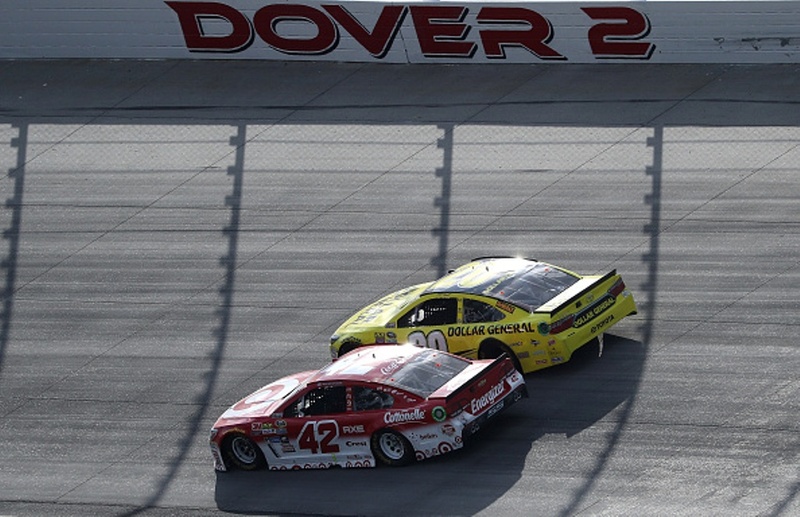 Matt Kenseth used experience to hold off the youthful desires of two of NASCAR’s rising stars Sunday to score a much needed, and hard earned win at Dover International Speedway. 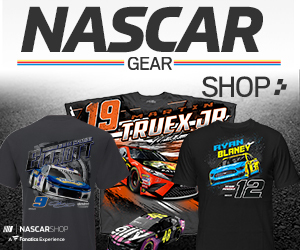 The Joe Gibbs Racing driver scored his 37th career win holding off a hard charging Kyle Larson and rookie Chase Elliott to win the NASCAR Sprint Cup AAA 400 Drive for Autism in one of the most exciting races at the Monster Mile is recent memory. Kenseth led a total of 48 laps including the final 40 taking the lead after a huge crash on a restart.